The first record of Jane’s presence in Virginia is her marriage to Peter Jefferson on October 3, 1739, in Goochland County, probably at her parent’s home on the James River, called Dungeness. 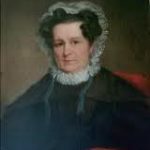 There is no evidence that Jane brought any land or servants to the marriage. Isham provided her a dowry of 200 pounds, but it wasn’t paid until his death, three years later. 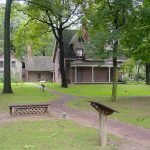 From the 1730s through the 1770s, Shadwell Plantation – the birthplace of Thomas Jefferson – was home to Jane and Peter Jefferson, their eight children, over sixty slaves and numerous hired workers. 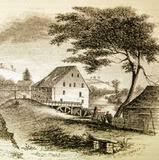 The archaeological and documentary evidence reveals that Shadwell was a well-appointed gentry house at the center of a highly structured plantation landscape during a period of Piedmont settlement that scholars have traditionally classified as frontier, and the Jeffersons in fact accommodated in their house, landscape, material goods, and behaviors what was the most up-to-date of Virginia’s elite Tidewater culture. In 1744, the Jefferson family relocated from Shadwell to the nearby Tuckahoe estate in order to live with a wing of Jane Randolph Jefferson’s family. A private tutor was hired and a family schoolhouse erected to serve the purposes of educating the Jefferson and Randolph children. 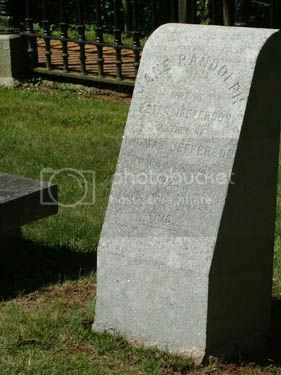 In 1757, Peter Jefferson died unexpectedly at the age of fifty, leaving their house and the Shadwell Plantation to Jane, who suddenly found herself a widow at thirty-seven, and young Thomas the “patriarch” at fourteen, with six sisters and a younger brother. Soon after his father’s death, Thomas Jefferson became a boarder under the care of Reverend James Maury at Maury’s home near Charlottesville, not far from Shadwell. Maury was also at this time a tutor to Jefferson’s friend and later brother-in-law Dabney Carr, and later provided an education to James Monroe. Having come of age, and with the Shadwell estate firmly under his control, Jefferson began to level land on a nearby mountaintop in order to build his own country home, which would eventually materialize into the shape of Monticello. And while the foundation for Jefferson’s dignified mansion was just being poured, the foundations of Jefferson’s rise to prominence as a statesman were already solidified. On March 31, 1776, Jane Randolph Jefferson died prematurely of a stroke. Thomas Jefferson wrote a flat unelaborated entry in his journal: “My mother died about 8 o’clock this morning, in her fifty-seventh year of age.” Not a word about her admirable traits or what she had meant to him. 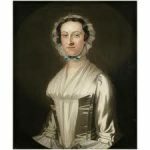 Family accounts reveal that Jane Randolph Jefferson controlled her family’s resources with a level of care, skill, and prudence that may have chafed her oldest son’s spending habits, yet which also kept the family out of debt, a considerable achievement in eighteenth-century Virginia.